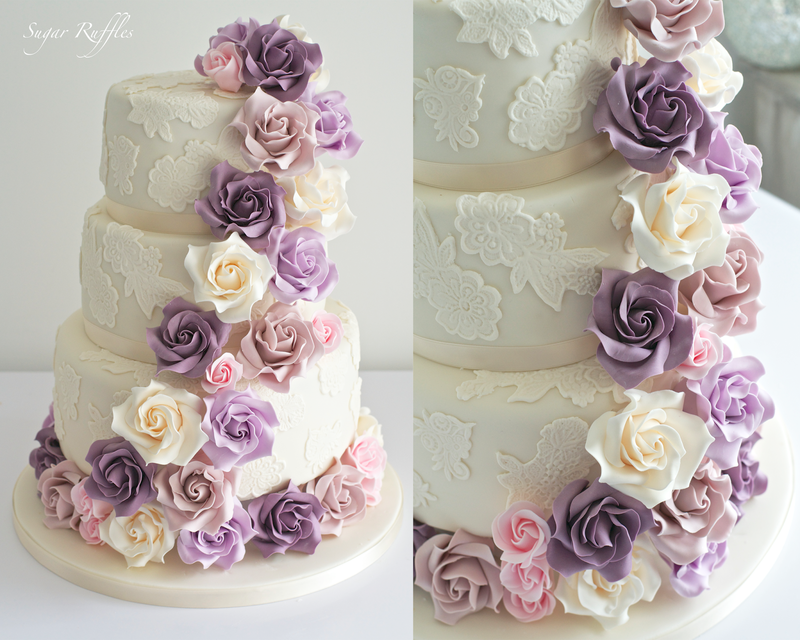 Lace wedding cake with sugar roses in shades of purples and pink delivered to Low Wood Bay, Windermere for the wedding of Amy and Danny. 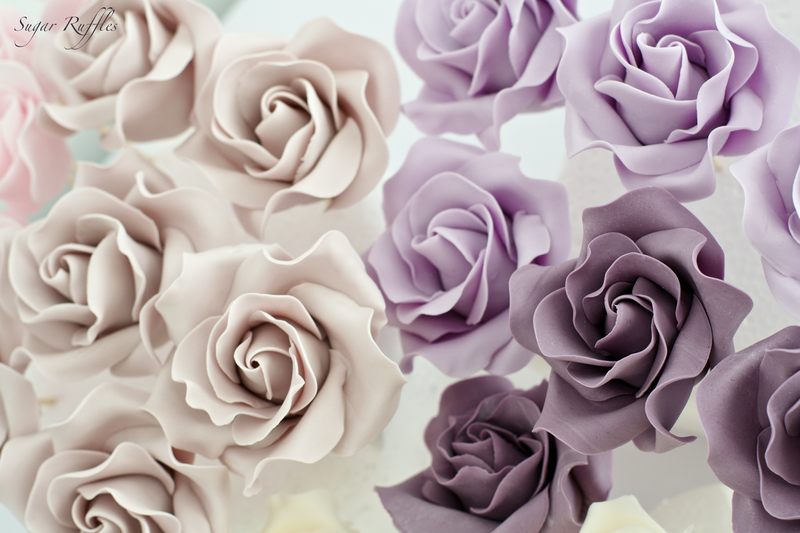 Flavours- bottom tier caramel, middle chocolate and top vanilla. 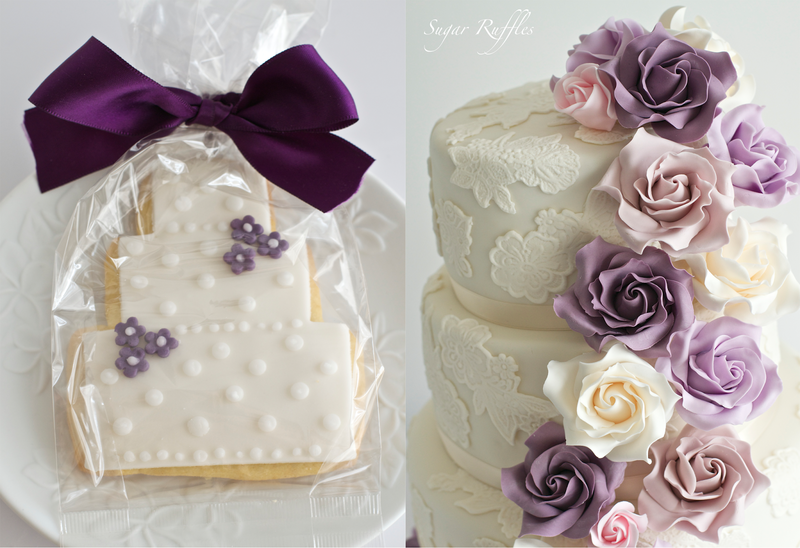 "Wedding Cake" iced biscuit favours were also created for the wedding guests in shades of purple.